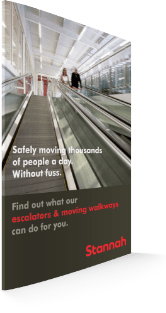 Stannah Moving Walkways – what can we do for you and your project? What can our moving walkways do for you? Whether your requirement is for a horizontal moving walkway, designed to enhance the flow of human traffic or an inclined travelator, more often used for retail environments, our range can provide you with the ideal product for busy built environments. We provide solutions for all commercial, retail and public transport applications across the UK, meeting and exceeding client expectations. Whether you opt for a standard product configuration or a tailor-made solution, our travelators are the perfect combination of finishes to complement surroundings, exceptional efficiency, flexibility and reliability. If you have an existing moving walkway, we can provide removal, replacement or modernisation services. Whatever your requirement, we ensure your whole portfolio is performance optimised, saving energy wherever possible. Talk to our dedicated moving walkway design team who can give advice, prices or guide you through specification. Well, we can do that too. We get involved in a variety of bespoke and major projects, where required taking on the role of principle contractor, simply get in touch with our technical team. Designed to minimise friction, vibration and noise our travelators not only offer a new level of riding comfort, but with advanced control systems they also ensure minimal wear and tear - meaning low maintenance requirements. Safety is our utmost priority; therefore, we make the sure every moving walkway is fully compliant with the latest British standards, including BS5656 and BS115, and is equipped with latest passenger safety features. Dedicated engineering team to project manage the installation of your autowalk equipment, from delivery to handover. 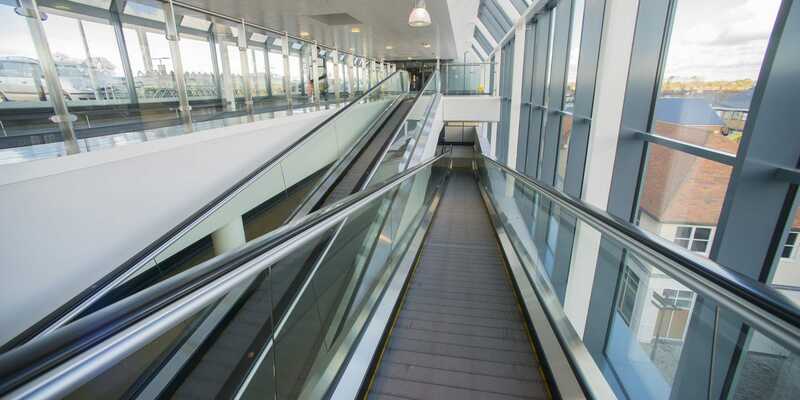 Stannah Lift Services have supplied and installed five moving walkways in a brand-new, flagship ASDA store in the Hampshire town of Andover. The inclined moving walkway at 5Rise is a commercial service model, fit for outdoor use, waterproof with an anti-slip coating.